Ever had the urge to hit the road for a change of scenery, needed a break from your everyday 8 to 5 job, do some hard work instead of sifting through 100’s of e-mails and endless Whatsup conversations a day? Wanted to actually eat healthy and breathe clean air? Drink water from a natural stream instead of a PET bottle. 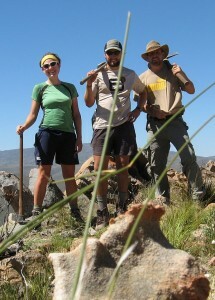 Be part of a trail building team and come home physically tried but happy. Sleep with seeing the stars above and shower with a scent of fynbos in the air not from an Airfresh can… Meet the chicken you just had an omelette from or water the herbs and veggies you’re about to have for lunch? Than WWOOFing might just be what your doctor ordered, to get you back on track and experience life, how it was meant to be: Natural, sustainable and truly rewarding! 17 years, since mid-1999, We’ve been living off-grid out here in the mountains near Montagu. At first all by myself and two border collies, turning the old farm house into a guest house, serving guest mouth-watering trout, or beef fillet from an open fire, potbread and homemade jam from organic apricots and freshly ground coffee… Whenever the work load got too much, help came from friends and volunteering people, weeks and even months at a time. 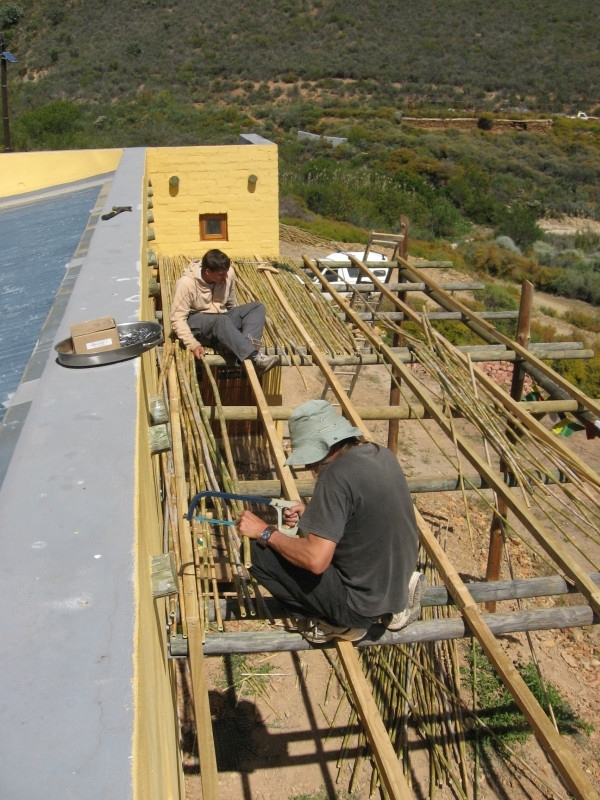 Then in 2004 we joint WWOOF Independent and opened up to more real life seeking humans from all over the world. We’ve been going strong ever since and enjoyed a great exchange of culture and ideas as well as valuable help and expertise. But what is WWOOF for you may ask? 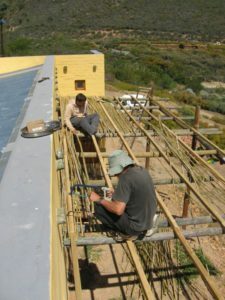 WWOOF stands for World Wide Opportunities on Organic Farms, an international organisation – see also www.wwoof.org . The movement started in England the 70’s as Working Weekends On Organic Farms, giving organic farmer a much-needed helping hand to be competitive with conventional production. Today WWOOFing focuses more and more on cultural exchange while volunteering on farms with an organic approach to life and production. It’s an exchange of your help for Food and Accommodation. In short it’s about experiencing and taking part in everyday farm life, to its fullest and NOT just a HOLIDAY on a farm! Duration is around 1 month up to 6 month, all year round. 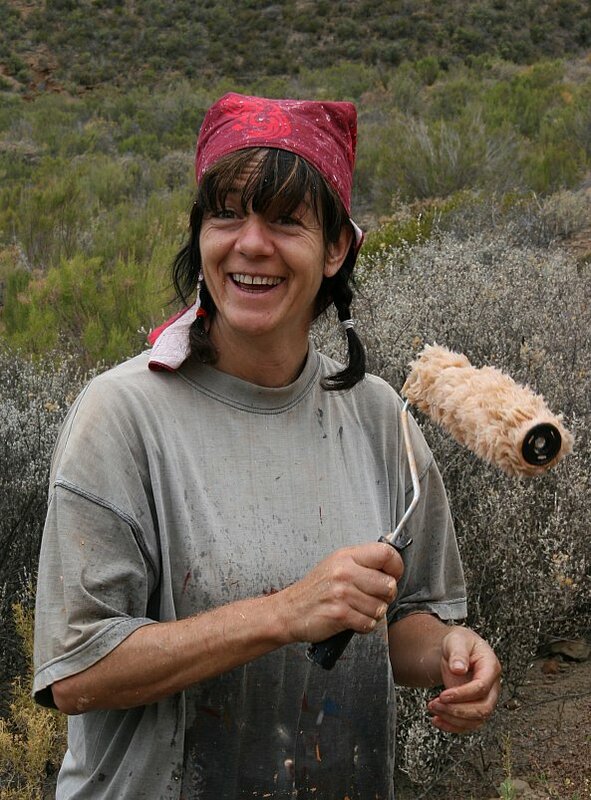 WWOOF work here at Simonskloof ranges from heavy stuff like: Fieldwork, building or renovation of a guest cottage, hiking trail maintenance and stacking wood, to light work as: Cleaning of guest cottages, helping in the kitchen and our permaculture garden. 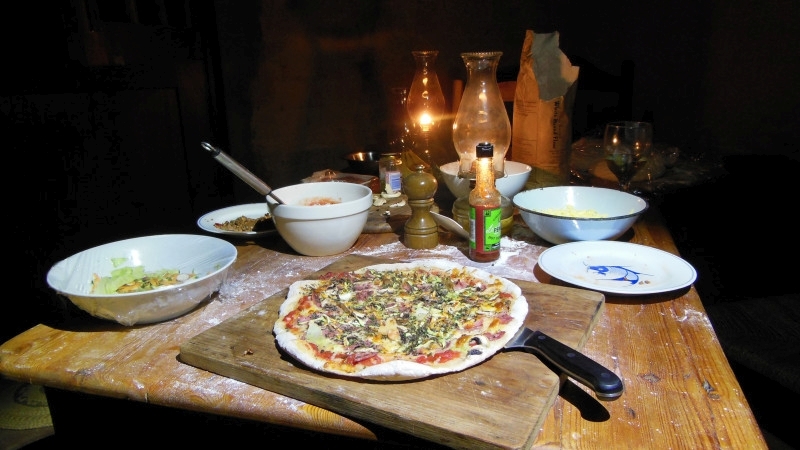 Where possible we all work together in a team, however WWOOFers should to be able to work on their own and be comfortable with the remoteness of the farm and the lack of connectivity. Working hours are 6 hours per day 5-6 days a week, so there’s time for you to meditate, read, study and explore the farm. Australia, Scotland, UK, France, Belgium, Ireland, Spain, Germany, Switzerland, Canada, USA, also from South African, Taiwan and Liechtenstein. But please keep in mind, if you are looking for a job, cheap accommodation, or a holiday on a farm then WWOOFing is not for you! Plenty of enthusiasm to work and learn! 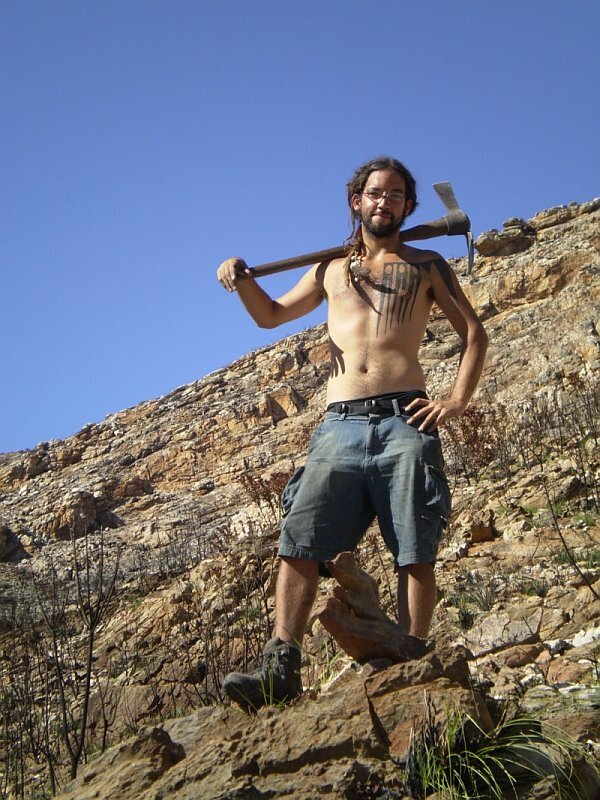 Standard backpacking gear e.g. Backpack (for working on the trails) Sleeping bag, hiking boots, some light shoes too, an overall or other working clothes, sun protection, cool and warm clothing. Temperatures in summer days can reach +42° and in winter nights drop down to -5°. And of course you’ll need a valid tourism visa if you are not from South Africa, appropriate travel and health insurance, as well as enough pocket money for your personal little luxuries. Like to see More Images? Please visit our picture gallery. 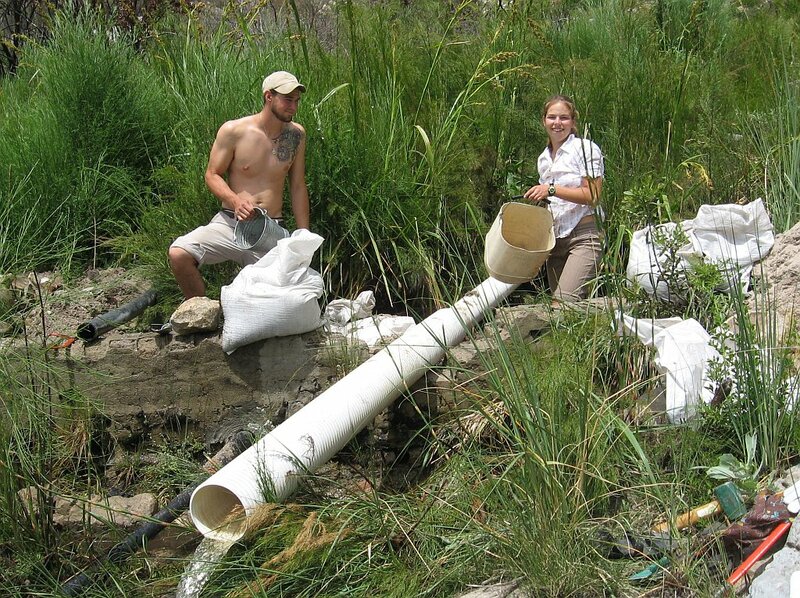 Like to WWOOF? Call us or e-mail us! Last minute help is always welcome! 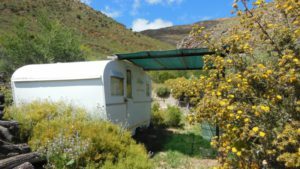 This entry was posted in News and tagged Klein Karoo, Montagu, nature, off grid, Organic, Permaculture, Simonskloof Mountain Retreat, South Africa, Volunteer, WWOOF by Jurgen. Bookmark the permalink.